The eVic Supreme is one of those things in life that deserves its name - el Supremo! The ultimate in current MOD vaping technology, the eVic-S is THE alpha predator that swallows the competition whole. Don't be fooled though, the eVic Supreme isn't just about raw muscle, it's also extremely intelligent - if it were any smarter, it would have to go to school! Standing at the top of the vaping chain with variable voltage, variable wattage and extreme customization capabilities, the Joyetech eVic-S has brains, brawn AND beauty in one utterly brilliant package. If you're into the MOD electronic cigarette concept and want an APV to rock your world, stop. Stop and take a good look at the eVic Supreme and see why God said "Let there be vaping!" The Joyetech eVic Supreme is the much-awaited sequel to the hugely successful eVic with truly remarkable new features to match its unique angular design and overall quality of materials, workmanship, and finishing. 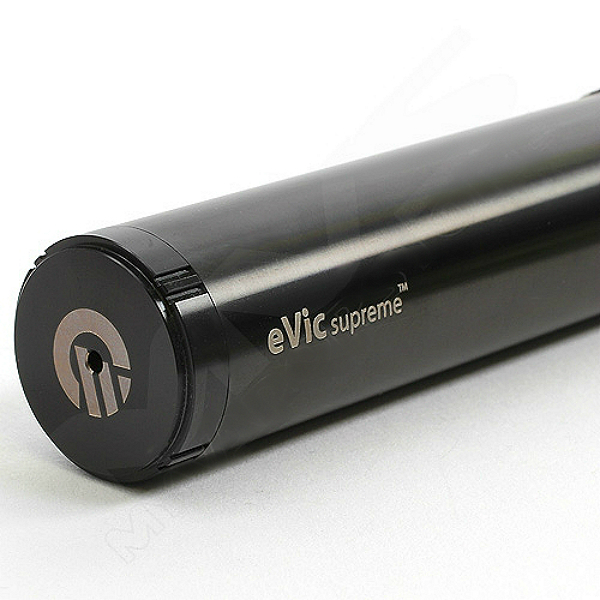 The 2100mAh ultra-powerful eVic Supreme boasts a mind-boggling maximum output of 30 watts / 6 volts and features real time variable voltage and wattage (VV and VW). In addition to sporting explosive power, voltage and wattage levels, the eVic Supreme is literally supreme in terms of atomizing options that allow you to use atomizers with changeable heads that have resistances ranging from 0.5 ohms to 5.0 ohms - impressed much? Watts, volts, ohms...the eVic-S has it all and then some, but unless you give it room to roam, you won't get the most out of it when it comes to vapour performance. You wouldn't fill up an F1 car with LPG, and the same notion applies to the eVic-S. 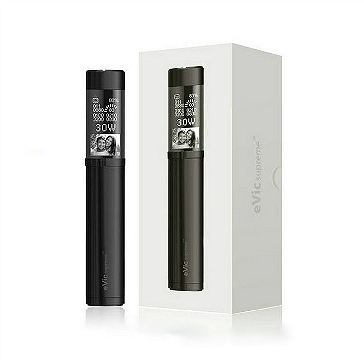 It is absolutely imperative you match the brilliance of the eVic-S with an atomizer at least as good as itself. And when you do, when you give the eVic Supreme a good atomizer, the resulting vapor is SO huge it's quite unbelievable. You honestly have to see it to believe it, and for that purpose we added a video towards the bottom of the page that shows just HOW magnificent the vapor from the eVic Supreme is. If you don't already own a respectable clearomizer that can match the eVic-S, we strongly suggest the delirium Protank, Aspire Nautilus or Kanger Aerotank Mega - either glassomizer will give off phenomenal vapor, vapor that's so dense you'll need a machete to hack your way through it! Vapour quality and performance is the be-all and end-all of any electronic cigarette but the eVic Supreme offers much more than olympic amounts of vapor. 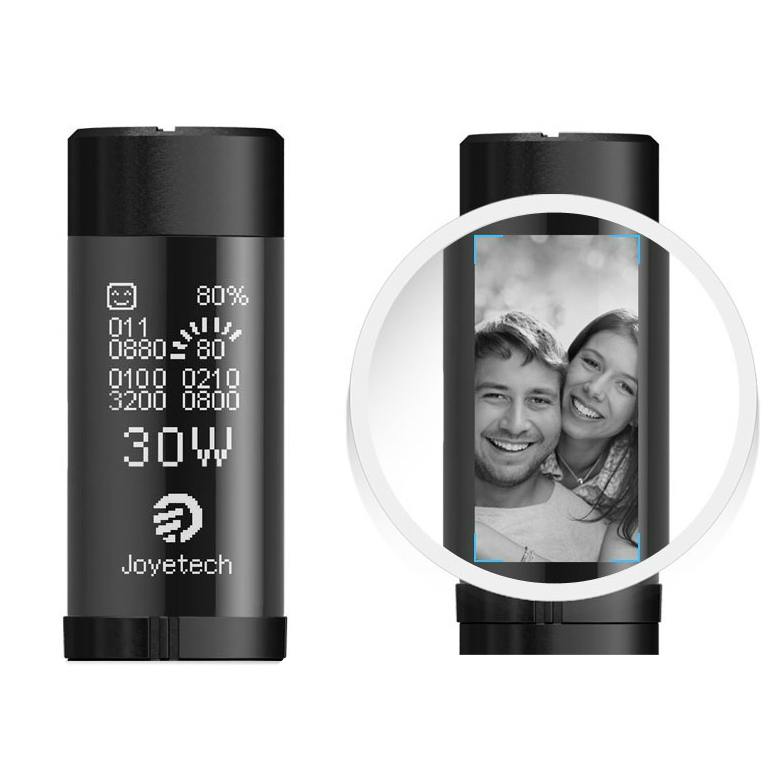 The feature-rich OLED screen displays every imaginable technical detail related to your vaping experience and allows for non-technical personalization with the ability to upload images into the battery. 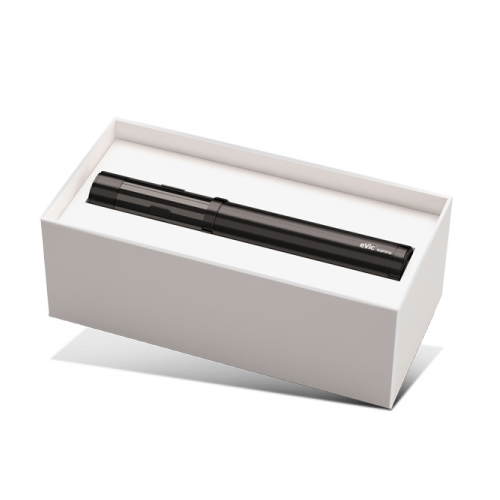 The myVapors software allows an unprecedented level of customization from images to output levels and much MUCH more. 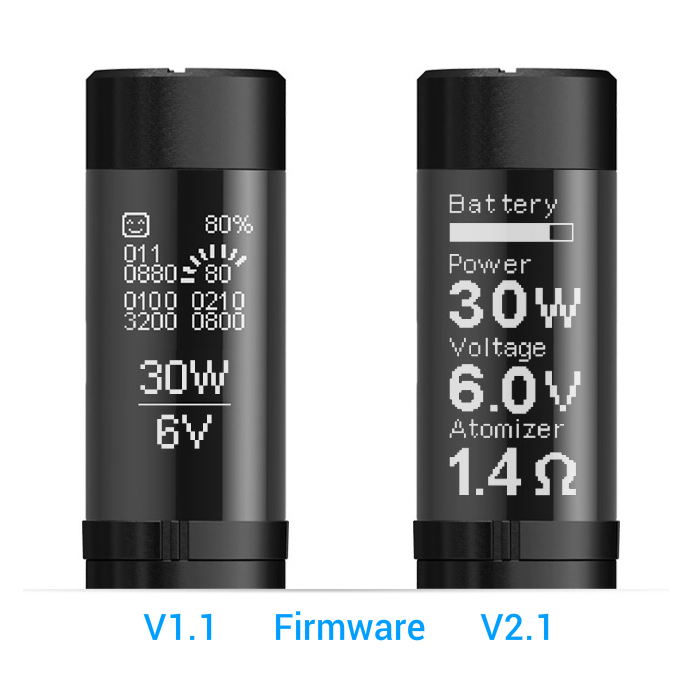 Everything said and done, one can rightfully say the eVic Supreme is one of the MOST advanced MOD ecig batteries ever made in terms of the technical, mechanical, and personal aspects of an ecig battery. 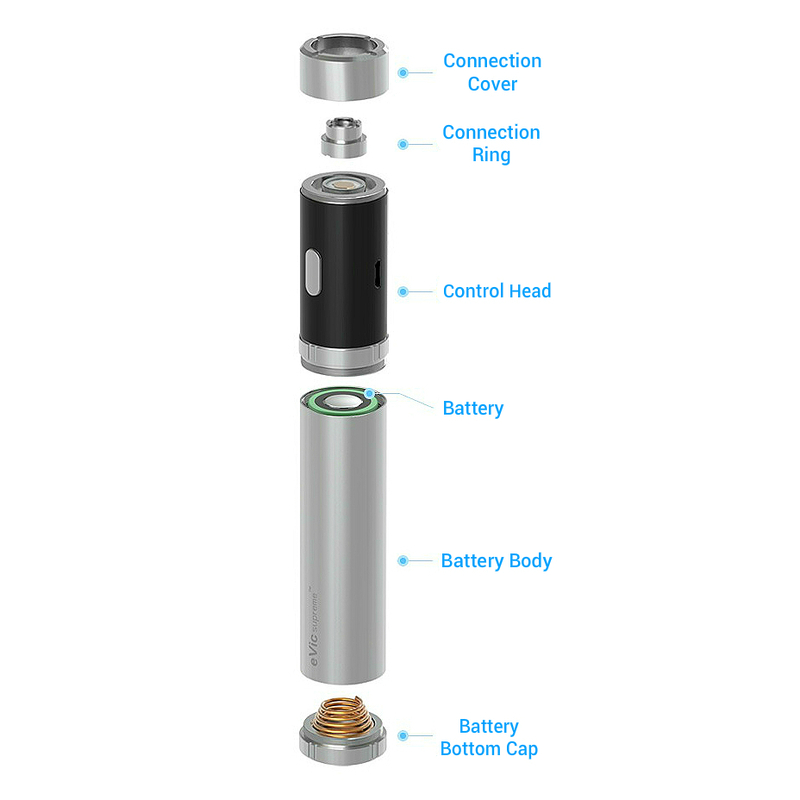 Below you will find technical specifications, kit contents, and everything else you need to know about the eVic-S. The only thing you WON'T find is anything bad. And that's good! As good as the eVic-S? No...but not everything can be as perfect as the eVic Supreme! 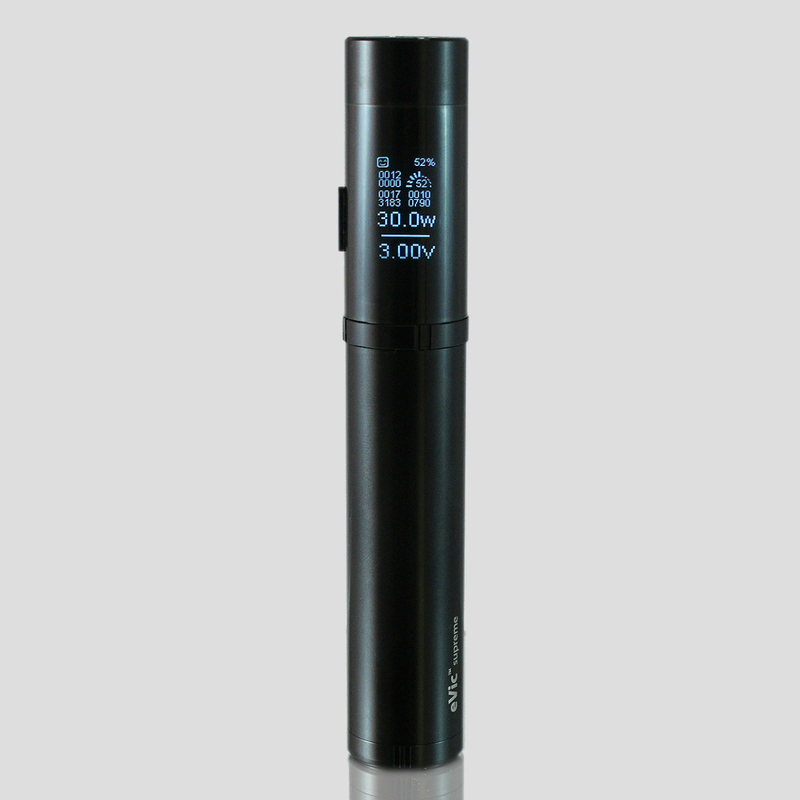 2100mAh with 3V - 6V variable voltage and 30W maximum wattage output; ability to adjust for different vapour amounts and throat hit strengths. 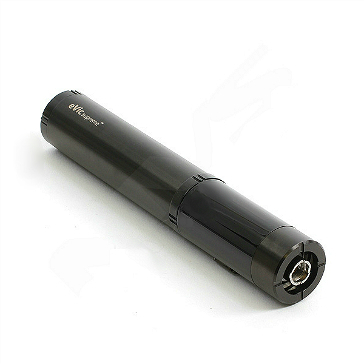 Produces massive clouds of dense and chunky vapour at all voltage and wattage levels given the right atomizer. 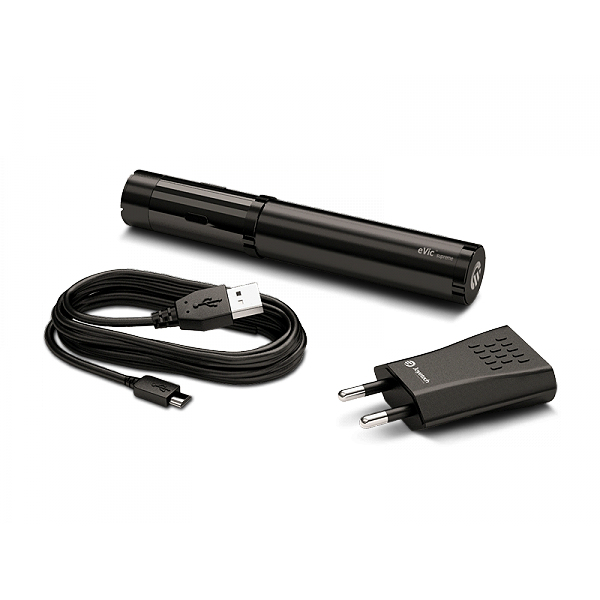 - Passthrough capability (means you can vape while the battery is being charged). - Shows the resistance of the attached atomizer to optimize output values to desired levels. 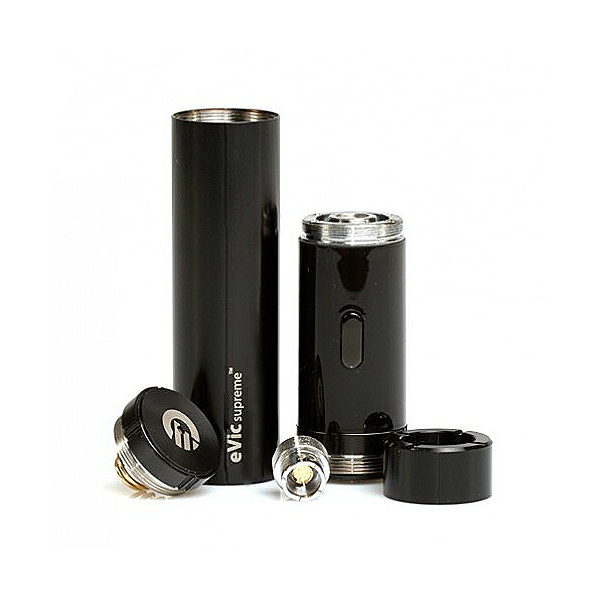 - 510 changeable thread - makes it very easy to choose the atomizer you want. - Crystal clear OLED display screen (64 x 128 pixels) with 16 gradients of gray. -myVapors software allows an unprecedented level of customization from images to output levels and much more. → If you want to get the very best out of the eVic Supreme, you should seriously consider investing into a delirium Protank, Aspire Nautilus or a Kanger Aerotank Mega.